Try this tasty variation of orange chiffon cake. This cake has a nice fruity orange taste and it depends on you if you want to frost with your favorite icing or serve it plain. You can be more adventurous by using Cointreau syrup made by combining sugar, Cointreau and sugar. By the way, if you are not very familiar with Cointreau, it is an orange-flavoured liqueur (Triple Sec) from France. 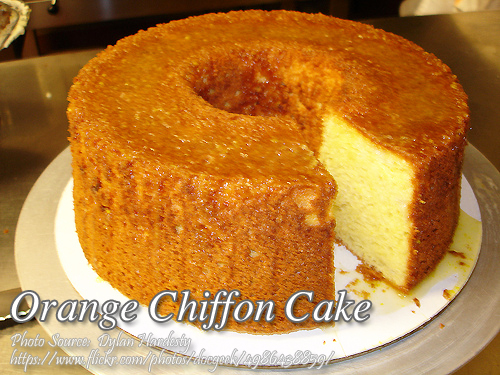 To make orange chiffon cake; Preheat oven to 325 °F. Sift together flour, 1 cup of the sugar, baking powder and salt into a medium mixing bowl. Make a well in center of flour mixture; add oil, egg yolks, orange rind and orange juice. Beat with paddle attachment of electric mixer until smooth. In a large mixing bowl, whip egg whites with cream of tartar until frothy. Add remaining 1/2 cup sugar in four additions, beating until stiff, but not dry peaks form. Pour egg yolk mixture gradually over egg whites, folding gently just until blended. Pour into ungreased 10-inch tube pan and bake for 65 minutes. 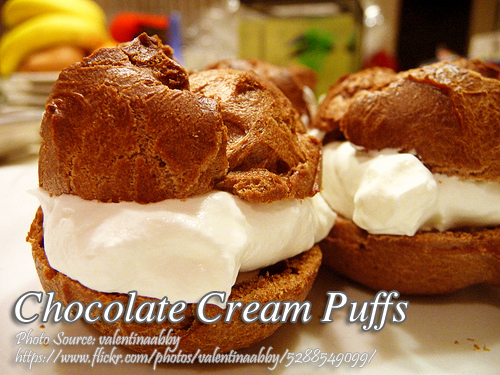 To see complete recipe, continue reading. Try this tasty variation of orange chiffon cake. This cake has a nice fruity orange taste and it depends on you if you want to frost with your favorite icing or serve it plain. Preheat oven to 325 °F. Sift together flour, 1 cup of the sugar, baking powder and salt into a medium mixing bowl. Make a well in center of flour mixture; add oil, egg yolks, orange rind and orange juice. Beat with paddle attachment of electric mixer until smooth. In a large mixing bowl, whip egg whites with cream of tartar until frothy. Add remaining ½ cup sugar in four additions, beating until stiff, but not dry peaks form. Pour egg yolk mixture gradually over egg whites, folding gently just until blended. Pour into ungreased 10-inch tube pan and bake for 65 minutes. Invert pan over a long -necked bottle to cool. Brush with Cointreau Syrup. Yields 12-15 servings. In a small saucepan, combine sugar, water and Cointreau. Cook until sugar is melted, then stir in butter, until melted. So, the question is: How much water do you add to the Cointreau? Thanking you in advance for the clarification! Hi JB, its 1/4 cup water.